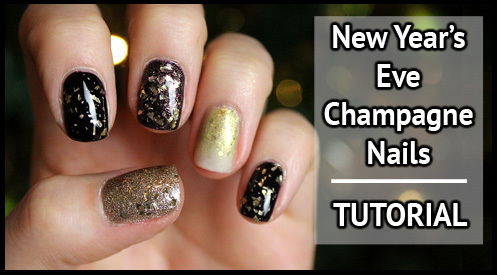 The perfect nails for New Year, my glitzy Champagne New Year’s Eve Nail Art Tutorial! 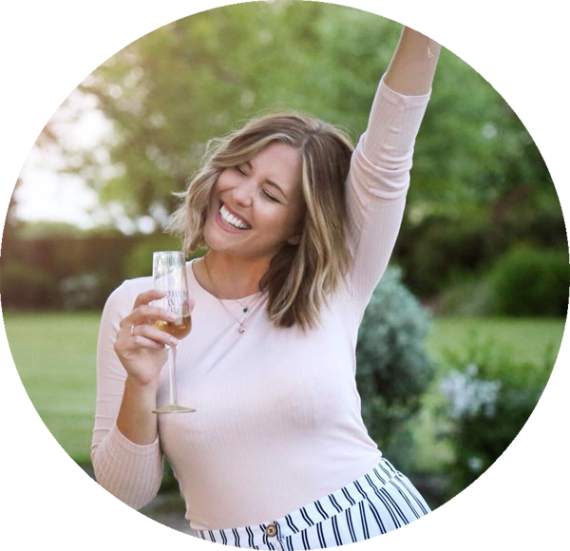 They’re so easy to do and look great for the party season – there’s loads of glitter and a glass of fizz on the finger that counts, what more could you want! With a mix of dark vampy colours, textured glitters and a beautifully soft champagne gold gradient these can be changed around to suit your outfit and are really eye-catching. 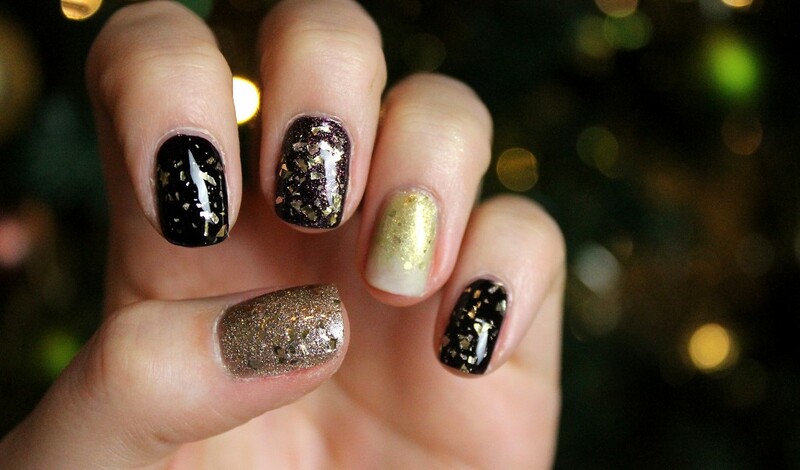 More New Year’s Eve Nail Art?